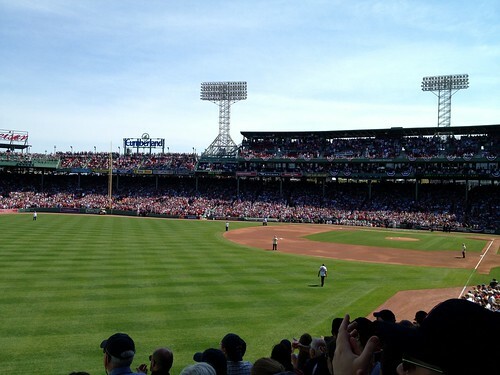 On April 20th I went to the Red Sox – Yankees baseball game, which was also celebrating the 100th anniversary of Fenway Park. It was a beautiful sunny spring day, a great afternoon to spend with some new friends. 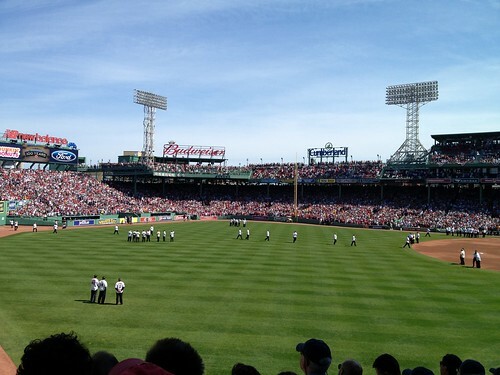 The pre-game ceremony was amazing, featuring 200+ of past Red Sox players coming out to the field, taking their positions, and hanging out. 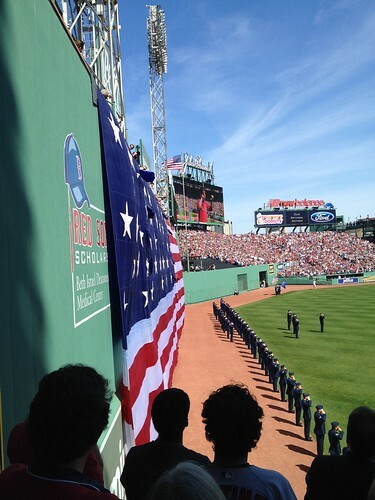 There was a fighter plane flyover, a couple of short readings from the announcer, a special huge flag hanging over the monster, music, books, and more. And a lot of cheering from the crowd. A few other friends (e.g. Dan and Matt) were also at the game, and it was fun to meet up with them briefly to say hi. Unfortunately the Red Sox lost 😦 But it was still a beautiful and memorable Friday afternoon at the ball park.